In many organizations, DevOps begins with the application development team adopting Agile methodologies. DevOps begins to spread as those in the operations team start to follow some of the same principles. DevOps is all about closer integration between development and operations, so it stands to reason that the people involved in deploying, configuring and maintaining your applications and infrastructure will need to understand what DevOps is all about. The testing team plays a critical role in continuous integration and continuous delivery, and having this group on board is one of the keys to successful DevOps adoption. The switch from waterfall development to agile processes means PMs need to radically rethink the way they put together schedules and workflow plans. No DevOps implementation can succeed unless managers are actively championing the approach and encouraging staff to use DevOps principles on a day-to-day basis. Some of the most successful DevOps teams are those with CIOs, CTOs, and directors of IT who are advocating for the adoption of the approach. DevOps affects those on the business side who work regularly with IT just as much as it affects IT professionals. If everyone can speak the same language, it will make the entire company more productive. Many organizations aren’t just adopting DevOps; they are adopting DevSecOps, which brings security into the mix and requires everyone in the IT organizations to be responsible for security. If your clients are going to be adopting DevOps approaches, you need to understand how that changes their culture, technology and processes — even if your consulting practice doesn’t directly concern DevOps, lean, Agile or IT service management. Ditto for technology suppliers. If you want organizations to choose your tools and solutions, you need to demonstrate that your products and services are designed for the way work gets done in DevOps environments. Of course, many experts would tell you that anyone who works in IT or with IT could benefit from learning the basics of the DevOps approach. While it’s become something of a cliché, it is true that DevOps requires a cultural transformation. 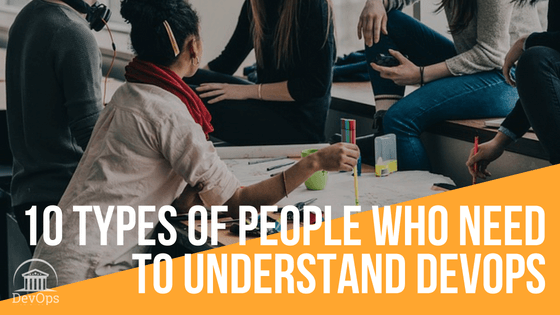 When everyone on the team has the same shared knowledge and shared vocabulary, it makes it that much easier to implement the cultural change. Attending that training together, whether it occurs virtually or in a physical classroom, offers the additional benefit of a shared experience. It also gives team members the opportunity to learn from each other and begin to make some of the changes that will be necessary for their cultural transformation. If you have team members who could benefit from a basic understanding of DevOps, we encourage you to consider a DevOps Foundations certification. It’s a 16-hour class that usually takes just two days of time but yields lasting benefits for the organization. Click to watch a video about the course or find a provider near you.